Eeek, Are you ready to set your inner rebel free for round 2 of #freeupmyinsta ?… yay, good stuff! I’m really excited and looking forward to the challenge starting again and I can’t wait to see what you share this time! It’s pretty amazing to think this only started a couple of weeks ago and already we’ve notched up well over 10 thousand posts! Woohoo, hooray for you guys! If you missed out the first time or you’re not familiar with the hashtag, you can catch up with everything here. To keep the #freeupmyinsta vibe going I’ve decided to move forward with a one week (7 day) photo challenge at the start of each and every month – this way it won’t completely take over our lives (although there have been several requests for daily prompts forever, haha you greedy bunch!) this should be just enough to set the mood, be easy for everyone to join in (without too much commitment) and will also give you a lovely supply of inspiration to look forward to every few weeks, then the rest of the month you can keep on doing your thing your way! But don’t panic, if you’re worried you’re gonna be twiddling your thumbs waiting for the next lot of monthly prompts to come around then the good news is you can apply ‘Freedom Friday’ to every Friday throughout the month to keep the momentum going. And then finally (as if all that wasn’t enough to help you free up ya feeds) I’ve also created a nifty printable prompts page for you to dip in and out of whenever you need a little extra inspo. Yay, how cool is that? Random words on tap! 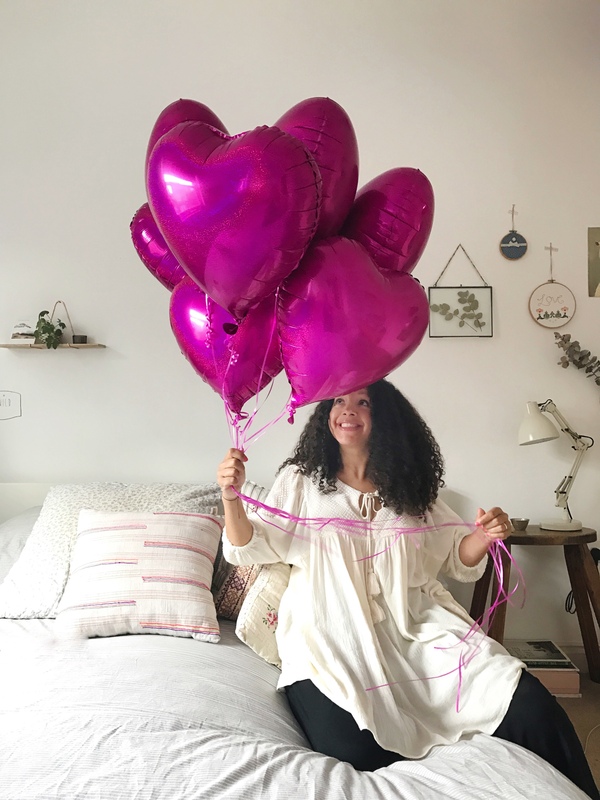 a guaranteed way to shake up your insta forever! ; ) I’ll even update them regularly for you so no excuses not to join in! So to recap : you can look forward to joining in with a 7 day photo challenge at the start of every month, freedom Fridays every week if you fancy it and a nifty prompts page for extra inspo to use as you choose. Hopefully that little lot should keep you busy! 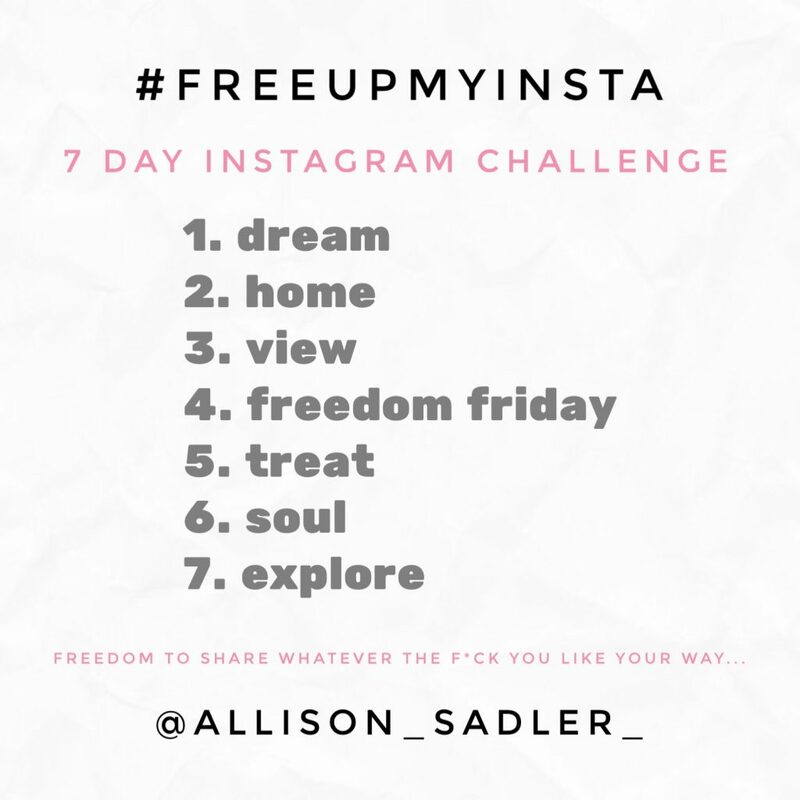 The first #freeupmyinsta monthly challenge starts tomorrow Tuesday 1st August, so let’s start spreading (screen grab the prompts and share) the word folks and remember, no rules, no pressure, no expectations – just 1 week, 7 every day prompts and the freedom to post whatever you like, when you like.